The research, published in Nature Communications, finds that mining-related forest loss caused roughly 10 percent of all Amazon deforestation between 2005 and 2015, much higher than previous estimates. Surprisingly, roughly 90 percent of deforestation related to mining occurred outside the mining leases granted by Brazil's government, the University of Vermont-led study finds. Mining-induced deforestation was 12 times greater outside the mine lease areas than within them, extending as far 43.5 miles (70 km) beyond mine borders. "These results show that mining now ranks as a substantial cause of Amazon forest loss," says Laura Sonter of UVM's Gund Institute for Environment. "Previous estimates assumed mining caused maybe one or two percent of deforestation. Hitting the 10 percent threshold is alarming and warrants action." Mining infrastructure is a key form of off-lease deforestation, researchers say. This includes worker housing and new transportation routes - roads, railways and airports. Built by mining companies or developers, these routes also enable other forms of deforestation, including agriculture, which remains the leading cause of Amazon forest loss. "Our findings show that Amazon deforestation associated with mining extends remarkable distances from the point of mineral extraction," says Gillian Galford of UVM's Gund Institute and Rubenstein School of Environment and Natural Resources. The findings come as Brazil's government considers legislation that would further ease environmental regulations and lift restrictions on mining in protected and indigenous areas. Currently, when companies apply for mining leases, they do not need to account for any damage their operations may cause offsite, researchers say. 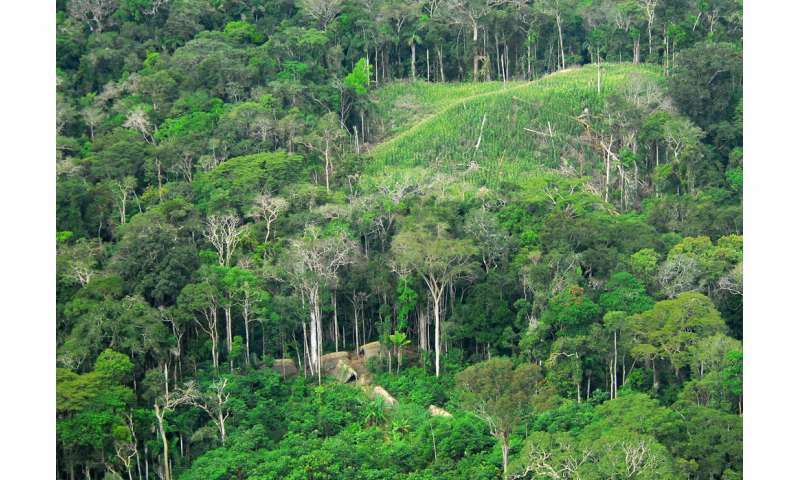 For the study, researchers tracked landscape changes around the Amazon's 50 largest active mines, analyzing 10 years of deforestation data from Brazil's Space Agency (INPE). "We hope these findings help government, industry and scientists to work together to address this issue," says Sonter, who led the study as a UVM postdoctoral researcher, before joining the University of Queensland (Australia). Rainforests provide many benefits, including helping to regulate the planet's climate, housing rich plant and animal biodiversity, and soaking up carbon dioxide, researchers say. They note that global efforts have successfully helped to curb other causes of Amazon loss, such as agriculture and cattle. Key minerals targeted by mining companies in the Amazon include iron ore for steelmaking and bauxite to produce aluminum.